 The Community Academic Center (CAC) is a collaborative effort between Buffalo State's Center for Excellence in Urban and Rural Education (CEURE) and its Civic and Community Engagement Office (CCE). The CAC's mission is to provide a site where children and families living in Buffalo’s West Side neighborhood can participate in social and educational programs that foster and enhance lifelong learning. It provides a space for Buffalo State to listen to and learn from children, youth, families, and community partners to better understand what is needed for children and youth to be fully engaged in learning. Established through a generous gift from longtime-Buffalo State supporters Eleanore Woods Beals, '50, and her husband, Vaughn Beals, the CAC coordinates and provides cradle-to-career educational support programming developed and designed in collaboration with campus and community partners. Activities and program offerings range from outside-of-school-time enrichment to instruction for newcomer refugee youth and parents. Coordination and collaboration among agencies that will promote effective service provision to youth and families. To discuss collaborative programs or options for the use of space, please contact the CAC at (716) 878-3289, cac@buffalostate.edu, or 214 Grant St. Buffalo, NY.